Are you wondering about the cost of insulation replacement in your house? 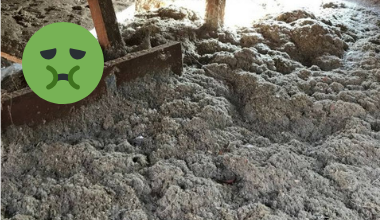 You may want to remove and replace old home insulation if it is not effectively insulating the rooms from heat or cold climate or if it has become moist or dirty due to dust, dead insects, or mold posing a health hazard to the occupants. You should first decide whether you want to replace or just fix the insulation material. Replacing the insulation material is more expensive than having it fixed. However, upgrading your old insulation is recommended, as newer insulation materials are more energy efficient, provide better protection, and save more energy cost in the long run. Another factor that determines the cost of insulating the house is whether you want total or partial insulation removal and replacement. Partial replacement entails less insulation coverage thereby reducing the cost of insulation. In addition, the type of insulation material you have in your home also determines the cost of replacing the home insulation. Certain insulation materials are costlier than others such as loose insulation which is blow in must be vacuumed out, this bares slightly more cost than old batt insulation removal in Perth as the waste disposal fees are more for loose material, which must be double bagged and legally taken to the right treatment facility. Finally, the cost of replacing insulation also depends on whether you want to install the insulation material yourself or hire the services of professional firms. Hiring expert professional firms will save the hassle, time, and risk required in removing and replacing the insulation materials in Perth, Western Australia. The total cost of replacing the insulation material can hover in the range of $2,500 and $3,500 for the average sized 4 x 2 home in Perth western Australia. The labor cost involved in removing and replacing the insulation material varies from firm to firm but we are sure you will find Insulation Removal Perth your most competitively priced firm. Perth insulation can also assess your old insulation material and suggest an ideal solution suitable for your needs if in fact you need to replace. We can also advise on ways to solve the problem that damaged your old insulation material in the first place. The damage could be due to leaking drainage, pest infection, mold problem and other reasons so it is important to fix this at the time of replacing your old insulation to prevent further damage to your new insulation material. It is essential to get quotes from more than one contractor before selecting a specific company. This will help you in getting an idea of the cost involved in replacing the insulation material and will be sure you are getting a fair price both on labour and disposal costs but in supply of the new materials. Also worth noting the accuracy of the measurement of your homes ceiling areas. We often find that building plans are not 100% accurate, and any firm should only be basing the measure off the living areas of the home generally and not the garages or eaves of the home. At Perth Insulation Replacement we will offer to beat any competitors price for a similar product so if you do already have quote contact us today to see if we can save you some money on your insulation replacement job. To obtain a free insulation replacement quote please contact us today. Next: Next post: Cool or Cosy – Is it still working for your home?